Rohit Bal sports his golden curls with panache and oozes the very same attitude as the models that sashay down the runway clad in his creations – on many occasions, he has also been known to join his models in an after-show dance. The couturier, who immortalised the peacock and lotus motifs in his collections, dons many hats. Besides a series of collaborations with brands like Jabong, Rolls Royce, Chivas Regal and Titan, Gudda doubles up as a successful restaurateur with his Delhi restaurants Veda and Cibo, as well as an architect designing ultra-luxe Goa villas. Bal is known for his suave and sharp personal style, often sporting tailored bandhgalas, jodhpurs and blazers with statement embellishments. 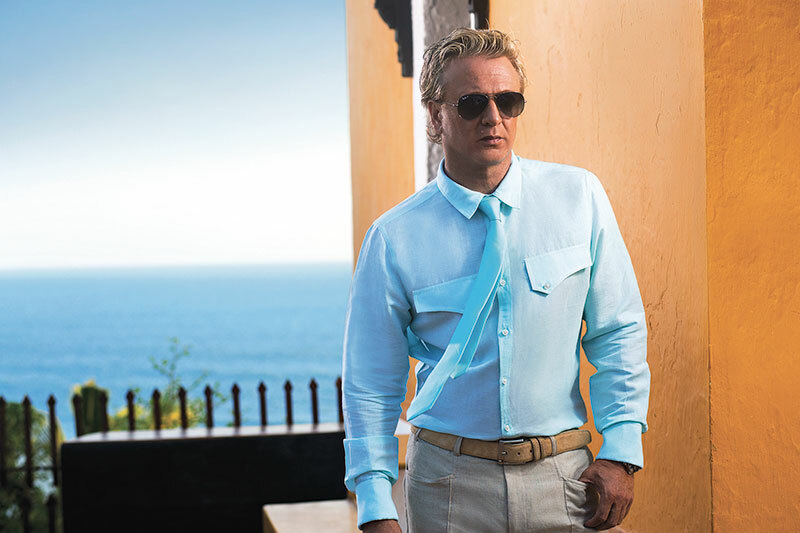 Style quotient: Rohit Bal’s forte lies in his ability to carry off light-coloured suits minus the tie or statement velvet blazers; and jodhpurs, effortlessly.